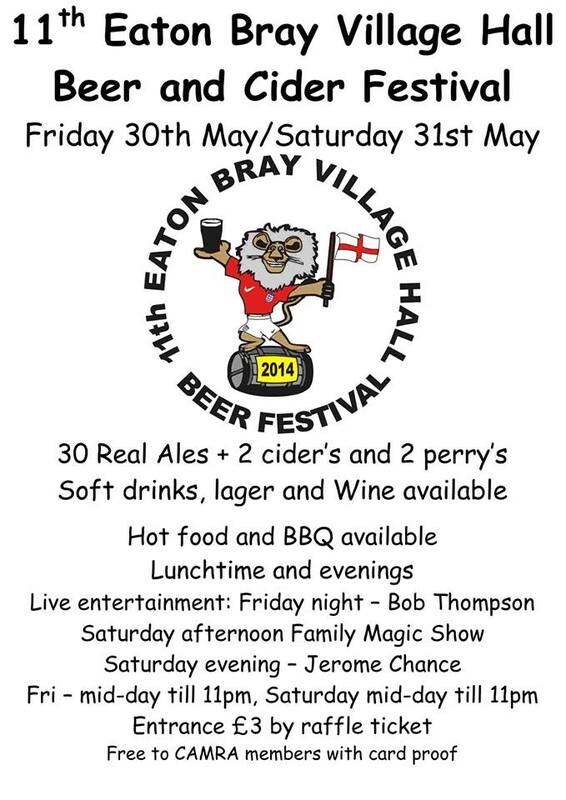 Archives of Eaton Bray News for May 2014. Community Speed Watch coming to your area? Are speeding motorists an issue in your neighbourhood? Do you want to help do something about it? More volunteers are currently being sought for the Community Speed Watch scheme which already operates in Bedford and Central Bedfordshire and is now coming to Luton too. 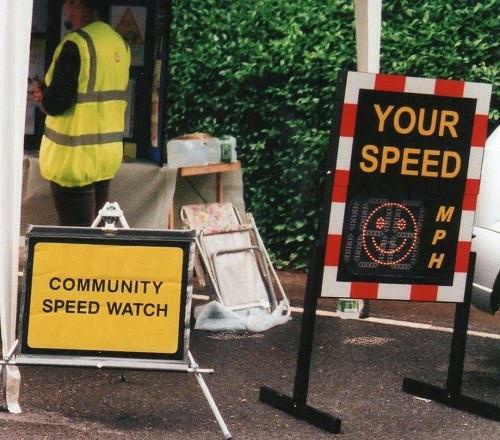 Supported by the Bedfordshire and Luton Casualty Partnership, Community Speed Watch enables volunteers to work within their communities to raise awareness of the dangers of speeding and help control the problem locally. People who register undertake training run by Bedfordshire Police covering the use of speed indicator devices and radar guns, conflict resolution and an option for basic first aid. Equipment is delivered by local policing teams, and volunteers then run sessions noting the date, time, colour, make, model and registration number of any vehicle exceeding the speed limit. Registered keepers of offending vehicles are written to by the police, informing them that they were detected exceeding the speed limit and giving the details. Persistent speeders receive a second letter, and if there is a third occasion motorists can expect further action to be taken by police. Schemes can be set up in any ward, village or parish governed by a 30mph speed limit and where a group of at least three trained volunteers exists. Chief Inspector Neill Waring from Bedfordshire Police said: "Excessive speed on the roads is one of the most common issues raised by residents across Luton, Bedford and Central Bedfordshire, and has an impact not only on road safety but on the quality of life of those that endure it. "Community Speed Watch seeks to promote safer driving in our local communities by educating rather than prosecuting individuals. Data collected is passed to Bedfordshire Police who may undertake further speed checks and result in drivers being prosecuted." Volunteers from Community Speed Watch will be undertaking roadside checks during week commencing 19 May in Luton, Dunstable, Leighton Buzzard and Bedford. Young drivers from across Central Bedfordshire and Luton are being encouraged to improve their driving knowledge and skills in May, as part of an initiative designed to reduce road casualties. Places are now open for MORE 16 and MORE Drive courses on Sunday 18 May. The courses are free and the age range has now been extended to MORE Drive to include those up to 30 years old. They are available on a first-come, first-served basis on receipt of a completed application form, which can be requested by emailing [email protected]. The courses are funded by Central Bedfordshire Council and Luton Borough Council, with delivery organised by highways contractor Amey. MORE 16 is designed to give 16-year-olds their first experience of driving. Advice is also given to parents about choosing a driving instructor and how to help their teens when practising. A high-speed passenger ride with a Millbrook pro-driver with competition history in motorsport such as rallying or racing is available to all parents that attend. For the first time, MORE Drive is now available for 17 to 30-year-olds who have already passed their driving test, increasing the upper age limit from 24 years. MORE Drive offers the chance to drive on a skid pan and experience ABS braking systems, as well as practising emergency stops at speed to demonstrate varying stopping distances. Workshops covering driving skills, maintenance, distractions and safety will be run by the local authorities, Bedfordshire Police and Three Shires Driving School. Councillor Brian Spurr, Executive Member for Sustainable Communities, Services at Central Bedfordshire Council, said: "The MORE 16 and MORE Drive courses are really popular and we have had great feedback from them. We're committed to reducing accidents where young people are killed or seriously injured and this education focus is working well. "The courses are a great way for our young people to learn new skills and improve their driving ability. We are also delighted to be able to extend MORE Drive to drivers up to 30 years for the first time to increase their road safety awareness and driving abilities." Sara Cannon, who attended the MORE 16 parents' workshop, said: "Many thanks for providing a well-run and thought-provoking course. Courses like this don't just happen and there will have been a lot of hard work behind the scenes to give all the participants (young and not so young) a really useful and memorable event." Bedfordshire Police has now completed the roll out of 60 body worn video cameras for use by frontline officers across the county. The cameras, which are worn on the outside of the uniform, are designed to capture the sound as well as an accurate and transparent visual account of interactions with the public by response officers where an evidential record may be required. The roll out began in the south of the county last week and this week saw response officers in the north supplied with cameras. Officers working on the ANPR Unit have also been issued with the technology. Deployment of the 60 cameras follows a significant trial to assess the best technology and value for money as part of a wider approach to safeguarding the public and Bedfordshire Police's frontline. Battery life of the cameras and the finite ability to store vast amounts of data means not every conversation with a member of the public will be recorded, for example; the devices are used when there is an evidence gathering opportunity and not for general innocent conversations with the public. Bedfordshire Police policy is that where the use of force, arrests or detentions are anticipated that the recording of the event should start at the earliest opportunity. While the decision to record or not record any incident remains with the device user, they must be mindful that failing to record incidents that are evidential will require explanation in court. Assistant Chief Constable Nigel Trippett said: "The benefit of body worn cameras is there for all to see and the policy we have trialled requires officers to make sure they capture as much of an incident as possible by recording at the earliest opportunity and if it is possible informing those present they are doing so. Clearly we must also be mindful of filming anyone close by who is not directly involved in the incident however and every attempt to minimise accidental intrusion must also be observed." During the camera trial Bedfordshire Police consulted with the public and asked the question 'should all uniformed officers have to wear a body worn video camera whilst on duty'. The results showed 79.4 per cent of the 1,882 who answered said 'yes' and 20.6 per cent said 'no'. Of the 1,916 who answered the question 'Do you feel body worn cameras can help police in your area gather evidence' an overwhelming 97.3 said 'yes'. "These figures, combined with many of the positive comments received during our survey, are good indications that we have strong public support in Bedfordshire," added Mr Trippett. Adrian Foster, Chief Crown Prosecutor for Thames and Chiltern Crown Prosecution Service (CPS) said: "I welcome the news that Bedfordshire Police has invested in body worn cameras to gather evidence of criminal activity at scenes of violence and disorder." "The benefits of the cameras are vast. They will discourage unruly behaviour during arrests, thereby protecting officers and the public, rule out issues of offender identification, and will provide indisputable evidence, which will assist the CPS when making charging decisions and prosecuting cases at court." "Hopefully, the clarity of the evidence recorded will encourage offenders to plead guilty to offences at an earlier stage, reducing the need for lengthy court cases and ensuring speedier justice for victims and witnesses." Bedfordshire Police has been trialling the cameras since June 2013. A week late, but the league season finally kicked off for the Eaton Bray 1st XI with a home match to newly promoted Biddenham. In what can only be described as the perfect start the new ball bowling off Andy Norris and Joe Roff was simply too good for the Biddenham top order who got blown away to be 4 wickets for 5 runs. All 4 wickets went to Norris deservedly so, however, the pressure built from the other end should not be ignored. 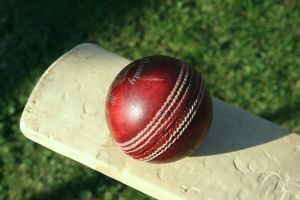 A mini fightback from the opposition followed with aggresive strokeplay seeing the middle order build a semi-respectable score, getting up to 100 for the loss of no further wickets. Once the dangerman went to Pearson for an impressive 69, the house of cards fell down to see them all out for 127 with Pearson and Flecknell getting 2 wickets each, Jarrett took care of the only other man to reach double figures. Chasing what should never be seen as a problematic total, the Bray top six did the job required without too many flutters of the heart. Hosking took advantage to top score with 77*, and was joined at the end by Kerins to put on a solid partnership of 61 undefeated. A great win, great team performance and just what the doctor ordered, the only disappointment came when the appointed fines master bailed on his task to leave his captain high and dry! Bedfordshire Police has appointed a new Deputy Chief Constable. Chief Constable Colette Paul said: "I am delighted to announce the appointment of Assistant Chief Constable Jon Boutcher as the new Deputy Chief Constable of Bedfordshire. Jon is already serving as the ACC of our collaborated units, Joint Protective Services, so is familiar with our county and brings a wealth of experience from a range of operational portfolios. He will take over the post when the current DCC John Fletcher retires in July." Commissioner Olly Martins added; "Jon is a welcome addition to the top team who demonstrated a clear committment to meeting the needs of victims and building a strong partnership with the public to help keep our county safe." ACC Jon Boucther said: "I am delighted and feel very privileged to have been selected as the Deputy Chief Constable for Bedfordshire Police. I look forward to working with all of the staff and partner agencies who work so hard to keep everyone safe in the county. I would especially like to thank John Fletcher, the outgoing Deputy, for his outstanding work within the force." 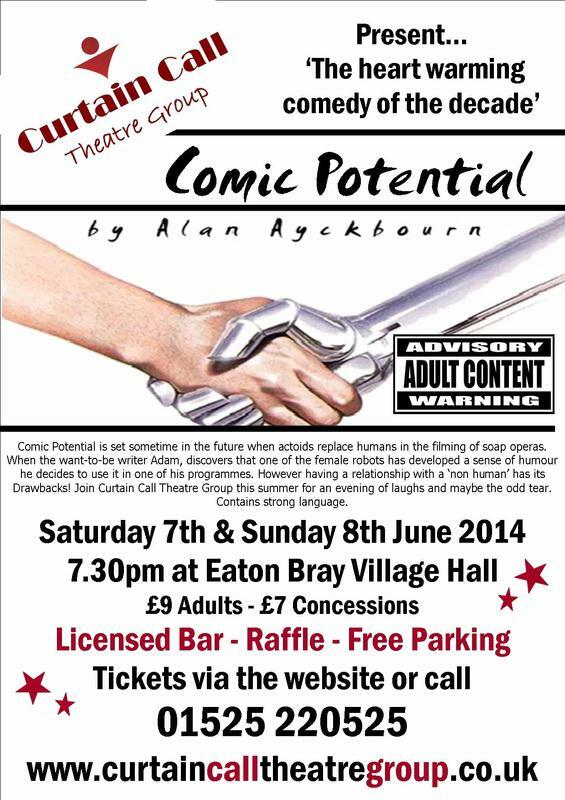 Hunt for clues around the village and collect your prize at the end! Start and finish at 6 Moor End, Eaton Bray where you can also browse our cake stall and garage sale. A prize for every participant and all correct answers will be entered into a draw for a special winner's prize. You are viewing the May 2014 archive.